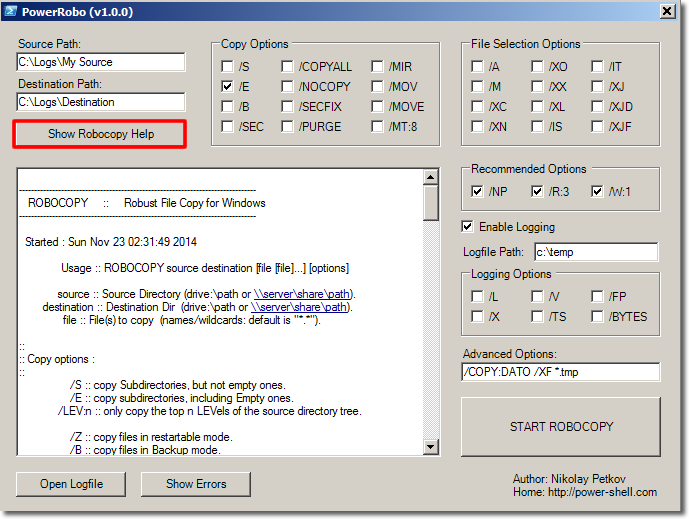 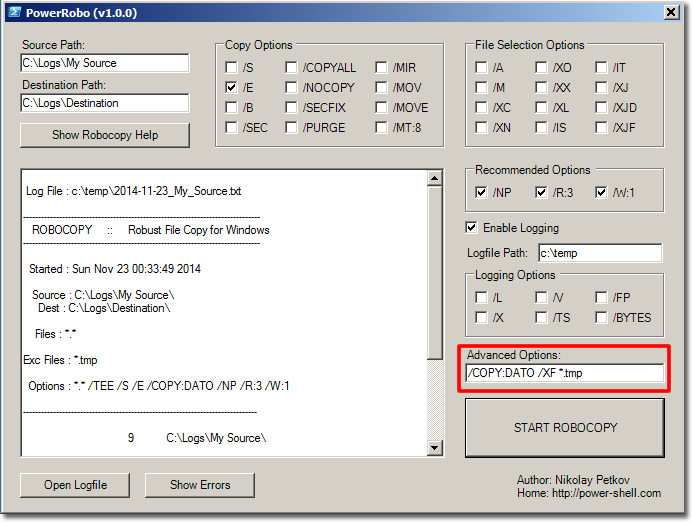 Robocopy GUI tool leverages the command-line utility Robocopy (Robust File Copy – introduced with Windows Server 2003 Resource Kit). 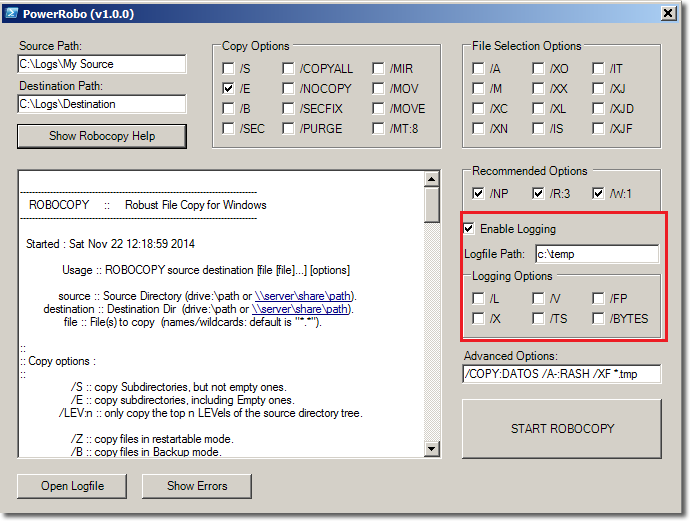 Robocopy best features include the option to copy file attributes along with the NTFS permissions, mirror the content of an entire folder hierarchy across local volumes or over a network excluding certain file types, copying files above or below a certain age or size, monitor the source location for changes, and giving detailed report with an option to output the status to a log file. 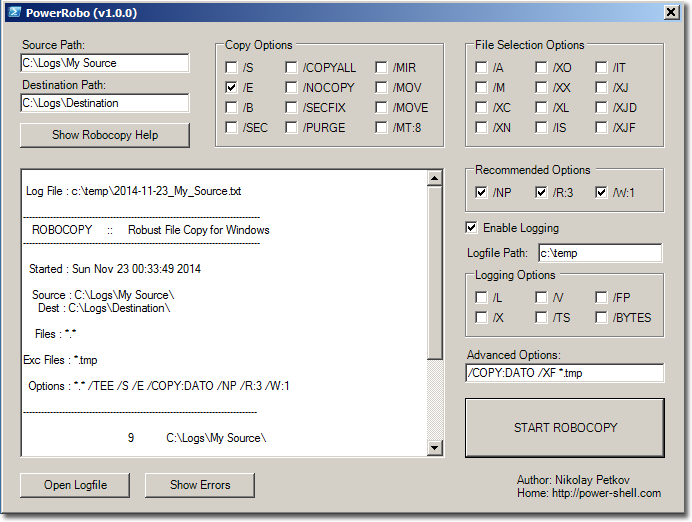 In addition, PowerShell GUI tool is making the process easy to configure and control providing ability to set up predefined options, one-click access to help and log file, and instant error analysis. 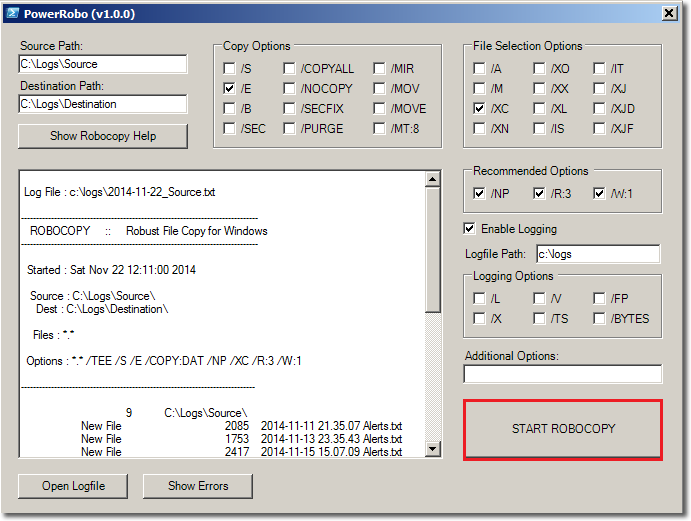 $logfile = $InputLogFile.Text + "\" + ((Get-Date).ToString('yyyy-MM-dd')) + "_" + $InputSource.Text.Split('\')[-1].Replace(" ","_") + ".txt"
$FileSelectionGroupBox.text = "File Selection Options"